Beat the heat with a flash gift card sale that will keep you cool all season long! 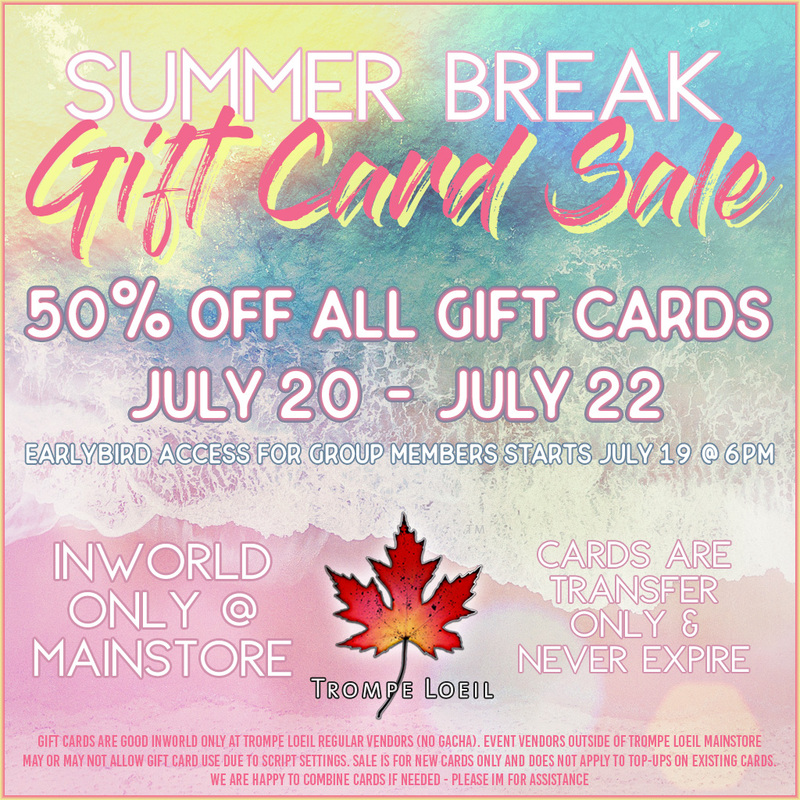 From July 20 – 22 grab Trompe Loeil Gift Cards at 50% off the list price – stock up for gifts or to treat yourself to sale pricing whenever you like! Are you a Trompe Loeil Superfan? Group members get early access starting July 19 at 6PM SLT! Group membership is free! Gift card vendors will be available at our Mainstore location, and on our new Trompe Loeil prefab display region next door! Gift cards are good inworld only and only at regular vendors (no gacha). Event vendors may or may not accept gift cards depending on individual script settings. Gift card sale is for new cards only and does not apply to top-up purchases for existing cards. We are happy to combine multiple cards together for large purchases – just send an IM!